Biology now offers a primarily coursework Master's degree, also called a “Plan B” Master’s, designed for students seeking additional exposure and training in sub-disciplines within Biology without the emphasis placed on original research by the thesis M.S. or Ph.D. degree. Students entering the non-thesis M.S. program develop a curriculum based on their own interests, advice from a faculty adviser, the list of available classes, and the Graduate School guidelines for a non-thesis M.S. Over time, we will also be developing tracks that students can follow. Through this degree program students can develop additional technical skills, expand understanding in any of the major areas of biology, and prepare themselves for additional educational opportunities or an upgrade in their position. 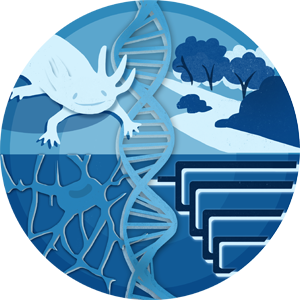 The Department of Biology and other life science Departments at the University of Kentucky have many courses available in topics ranging from molecular biology to ecosystems ecology. The potential offerings in the Department of Biology can be found here, but many classes in other Departments may qualify. Doing research is not required, but non-thesis students may gain hands-on research experience contingent upon available space in the selected research group. Non-thesis (Plan B) Master’s students in Biology must fulfill the general requirements as outlined by the Graduate School. Students must take at least 30 hours of coursework and pass an oral exit exam in their last semester. The coursework requirements follow those set out by the graduate school. At least 20 h must be in regular courses (courses other than research or residency courses that have a set meeting time), and at least 15 h must be at the 600-700 level. Students may take courses numbered as 4xxG (but only in another department) and 5xx. At least 20 h must have a BIO prefix. Biology also requires that 3 hours be taken as graduate seminars, either in Biology (BIO 770) or a relevant offering in another department (must be approved by the DGS). Near the end of their coursework, students must pass an exit oral exam conducted by a 3-person committee, directed at ensuring they are sufficiently familiar with scholarship in their chosen area of specialty. In their first semester the student will be assigned an advisor selected from the faculty of Biology with interests overlapping those of the student. This advisor will help the student chart plan their coursework. By the beginning of his or her last semester, the student should choose the advisory committee which will administer the exit exam. This three-person committee is chosen from members of the graduate faculty in Biology who have agreed to serve. This committee will continue to advise the student and will administer the exit exam before the degree is awarded. Biology does not routinely offer non-thesis MS students assistantships. Students should thus expect to pay their tuition through other means. There are opportunities, on a term by term basis, for non-thesis MS students to teach in Biology lab courses. Other sources of financial aid within the University or externally are also possible.